Hey you.. yes you! I have got something to tell you come closer so I can let you know. There's Halloween celebrations at LEGOLAND Malaysia Resort awaiting you right around the corner. This time, it's bigger and better party there's a whole new spooktacular fun along with Halloween-themed activities lined up from September 16 to October 31, 2016. 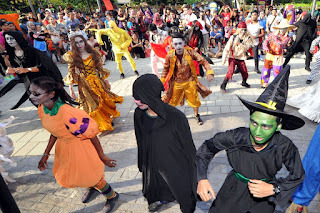 Come join Lord Vampyre for the ultimately family Halloween Party night! 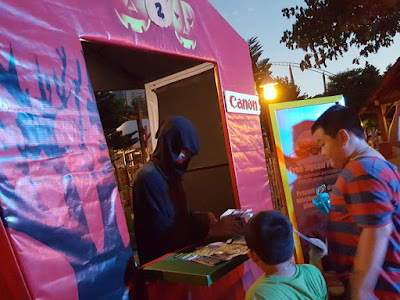 Halloween Brick-or-Treat this year, they have 10 pop-up huts with awesome goodies sponsored by local favourites such as MILO, Staedler, Julie's Haribo, Ribene, Canon and many more... you can meet their Halloween roving characters along the trail. 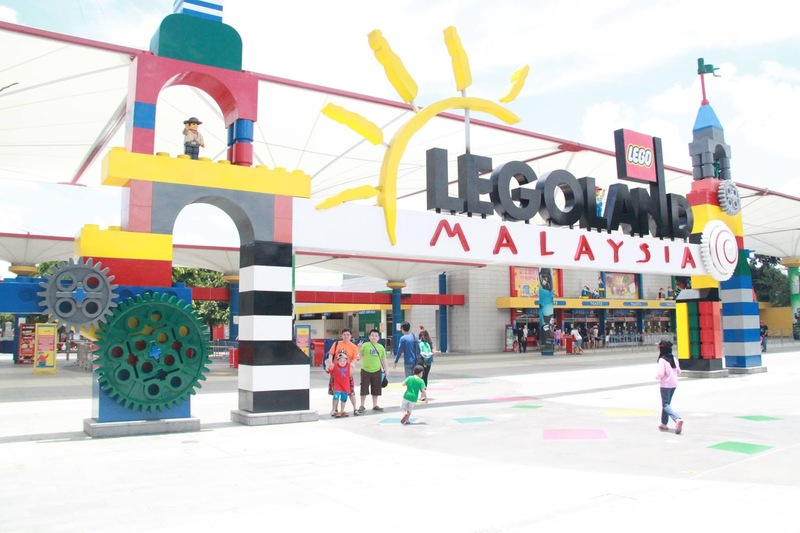 In conjunction with the Merlin’s Magic Wand Global Fun Festival, LEGOLAND Malaysia also hosting 100 underprivileged kids from orphanage homes in Malaysia in collaboration with PUDU Rotary Club on 23rd September, 2016. Click above video to view. 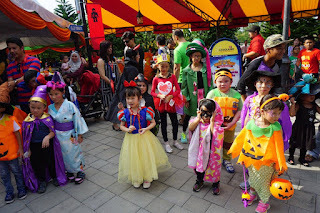 23 September 2016 media day, kids with cute costumes above are the winners. At LEGO® Kingdom Lord, will be dressed up in the most spook-tastic décor with large lighted pumpkins, cute supersized spiders and cob webs, bats, and scarecrows to scare and delight Halloween lovers. 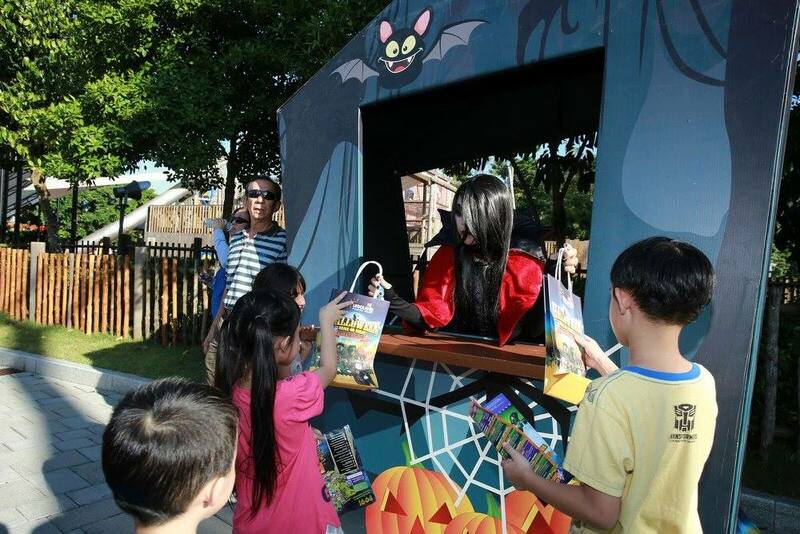 The park hours will be extended to 8.30pm on Brick-or-Treat Party Nights (Fridays and Saturdays). 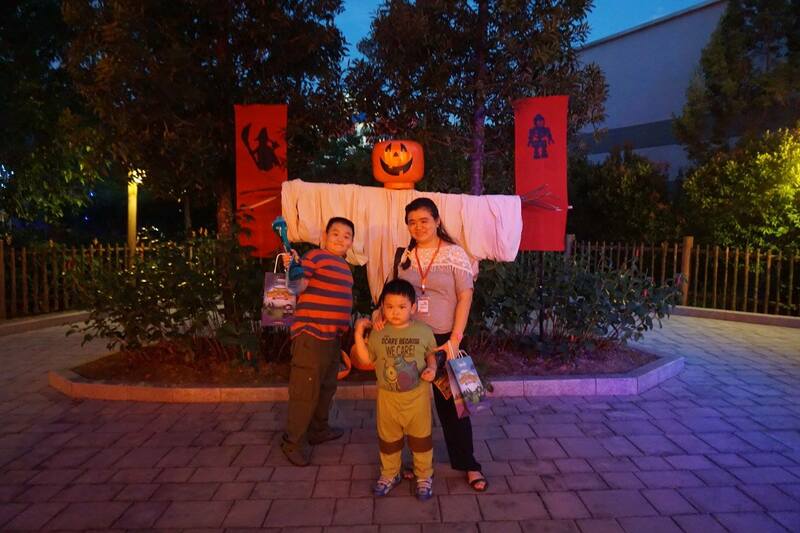 Follow the trail and complete a Halloween activity inside each hut to receive a limited edition Halloween commemorative brick. 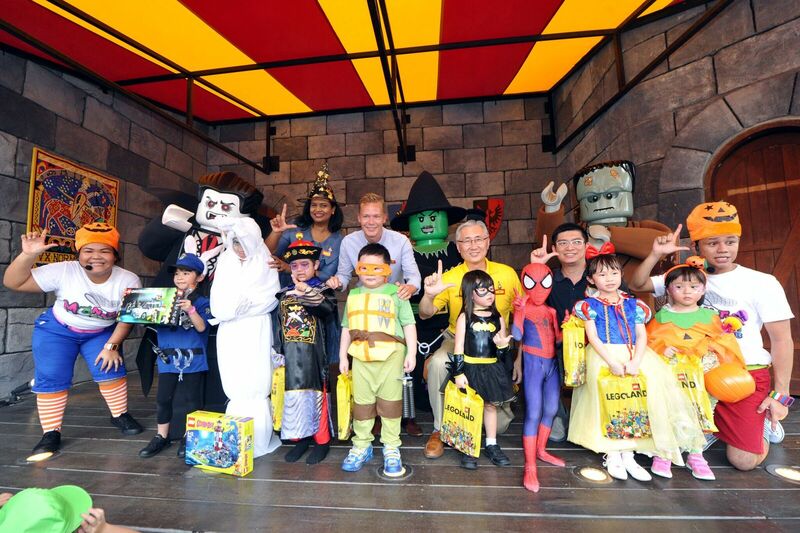 1st Hut: Collect Halloween Brick or Treat bag and complete LEGO® Star Wars Miniland activity. 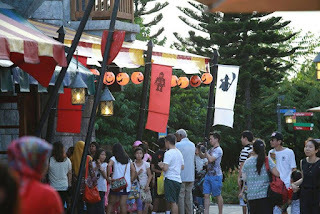 Photos taken not in particular orders, you can see kids and adult enjoy themselves at the venue. You can view more photos by click on the album which I have uploaded the photos to Facebook page. Children happily received their Halloween Brick or Treat bag to get start with journey of ten huts as mentioned above. Don't forget to redeem your Halloween bag and limited edition Halloween commemorative Brick at the end of the trail. There's Halloween Show-'Monster Catcher Mayhem" located at the Castle Stage, LEGO® Kingdoms. 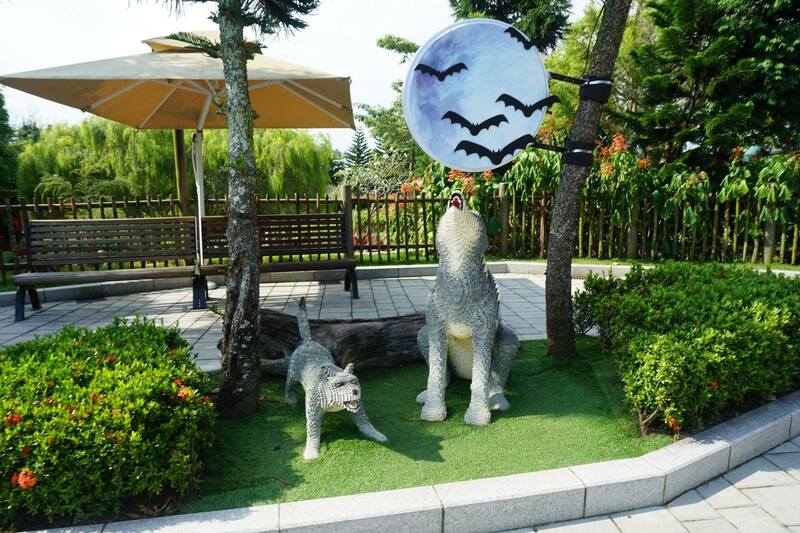 Howling wolves LEGO of full moon, sighted not far from the bench. 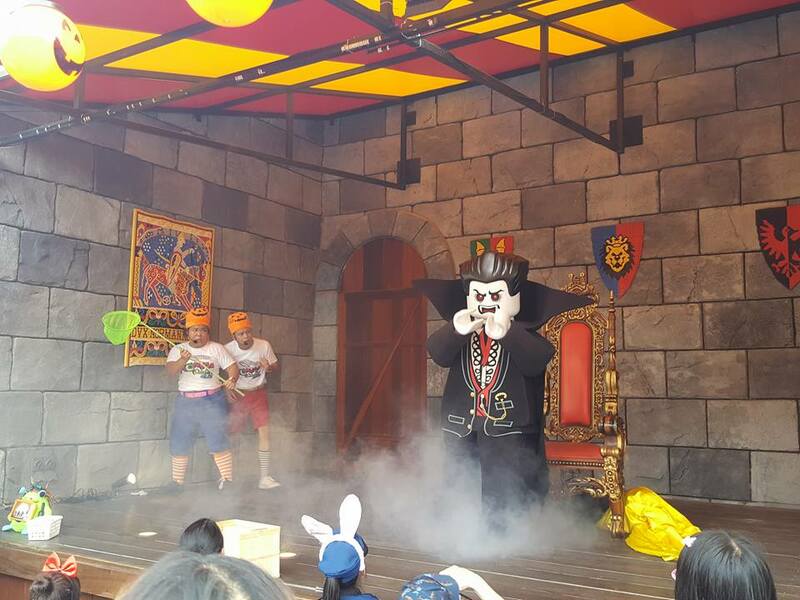 Halloween stage performance at LEGO® Kingdom Lord, Lord Vampyre. My sons both taking their turn to have their stamped. 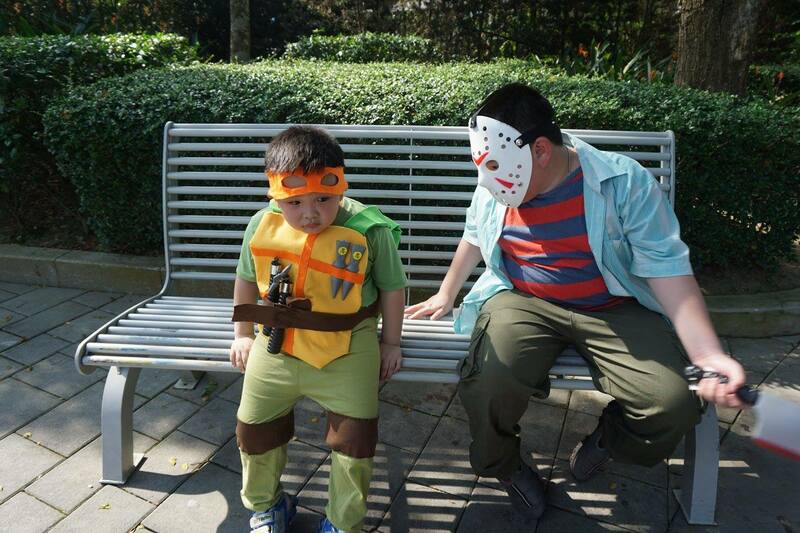 Look at that scary Halloween costume. My sons are so happy and it's a fun night for them, you got to experience it yourself. 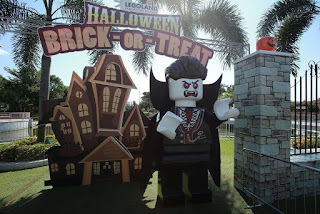 At LEGO® Kingdom will be dressed up in the most spook-tastic décor with large lighted pumpkins, cute supersized spiders and cob webs, bats, and scarecrows to scare and delight Halloween lovers. The park hours will be extended to 8.30pm on Brick-or-Treat Party Nights (Fridays and Saturdays). 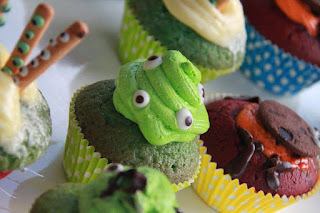 Halloween cupcakes, which is you favourite? 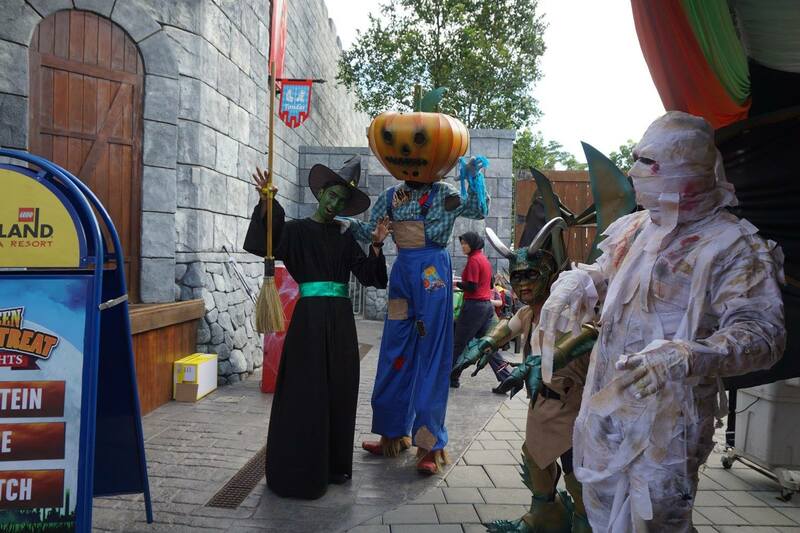 At Brick-or-Treat trail at LEGO Kingdom, there will be a terror-rific interactive Halloween Show with LEGO Frankenstein and Witch. Also classes on making your very own Magic Cupcakes and Potion Drinks to bind your friends in spooky spells. 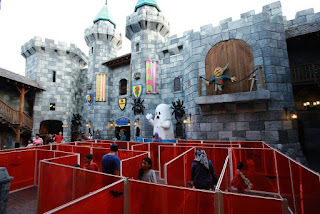 Then run along to Miniland where the Zombies and Ghouls will be having a story telling session. Performance that media enjoy on the 23 September, dance performances that everyone enjoy. So much fun there, you can find out the Pirate theme room I stayed in LEGOLAND HOTEL, click on the link to view it. 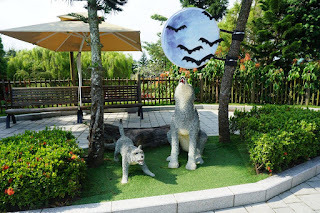 If you travel all the way there like me, I am sure you prefer to book a room to stay, check out the post as I have mentioned of the Halloween Day & Night Hotel promotion. 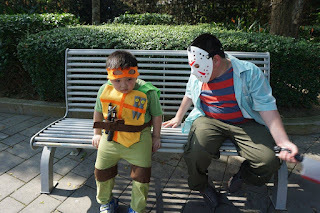 Now you can start thinking what kids love to wear for their Halloween costume night. 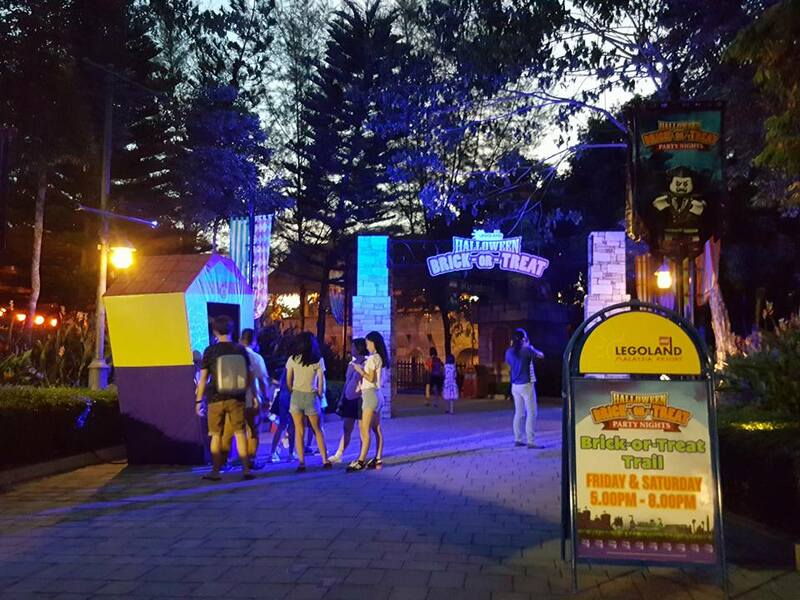 The park hours will be extended to 8.30pm on Brick-or-Treat Party Nights (Friday and Saturdays). For the entire 'Party Night' period, make sure that your kid turns up in a costumes gets to enter for free. For further information on promotions and activities for Halloween Brick or Treat Party Nights at LEGOLAND Malaysia Resort, please visit www.legoland.com.my and stay connected with them via social handles Facebook to find out more on online Halloween promotions. This is so much fun. Wish I stay nearby. Hi Rose, yes fun theme park to go at LEGOLAND. You can plan your family vacation too. The event looks fun. Hopefully will be invited to join the event next round. I'm sure my children will love it too. What a fun time the kids had. 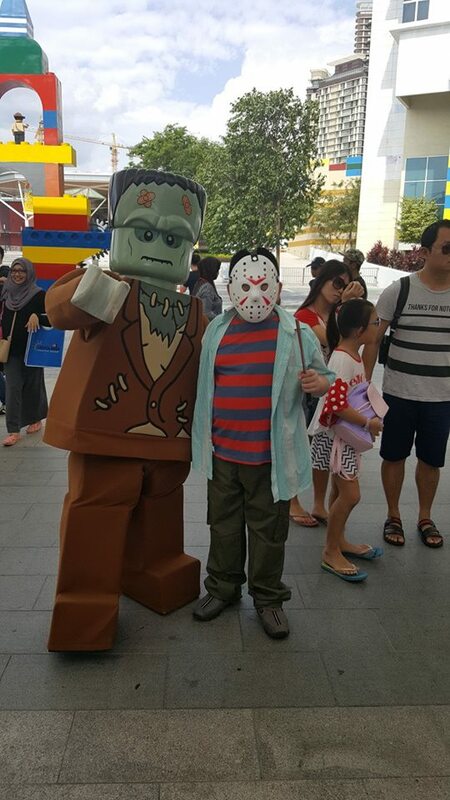 Halloween is becoming such a culture in Malaysia, too. Such a fun event! 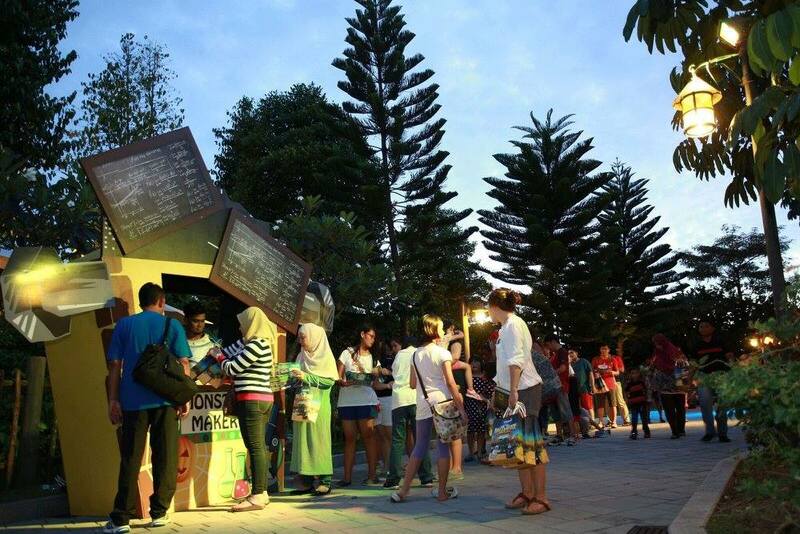 Hope to join their future events too.